Are you checking “visit Alaska” off your bucket list this summer? In such a big state with so much to do, it’s handy to put together a list of what to do while you’re here. We’ve created one of our own to give you a little jumpstart. Feel free to pick and choose what catches your eye! Add a short kayak trip to a Kenai Princess Wilderness Lodge stay. Spot wildlife on this introductory sea kayaking adventure. Float the Kenai River, hike, gold pan and more. Zipline for optimal treetop views near Denali National Park. Explore the backcountry on this rough and wild ATV adventure. Go back in time and travel like the pioneers in a horse-drawn covered wagon. 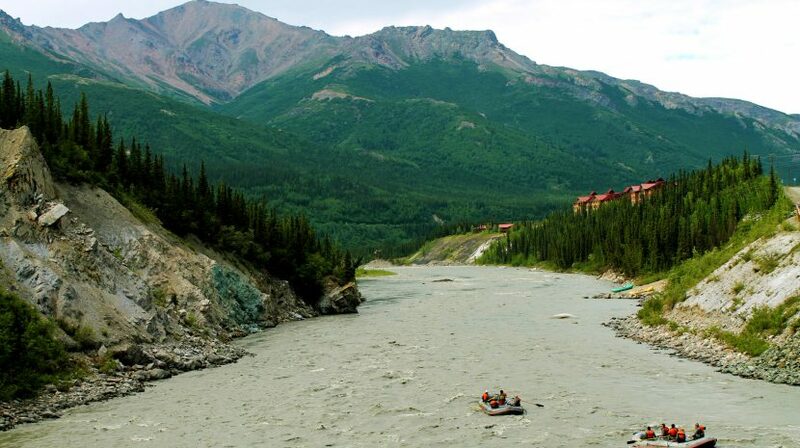 Get your heart racing with three hours of whitewater adventure on the Nenana River. Get incredible off-trail access with this hike and flight combo. Experience all the natural beauty Alaska has to offer on a hike accessible for any level. Hit the rails for a little bit of history and a whole lot of scenery. Tour the beautiful and remote Kennecott Mines. Cruise away the day surrounded by some of the most incredible wonders of Alaska in Kenai Fjords National Park. Visit North America’s last tidewater glacier. Catch dinner on the Kenai River, you definitely won’t go hungry. Learn which wines to pair with Alaska seafood. Soak in the relaxing Chena Hot Springs.